Asphalt FX have over 15 years in the asphalt industry with the latest plant and equipment which ensures we can deliver a high standard and quality of work. Asphalt FX will provide you with an Experienced Estimator who will visit your site to discuss your requirements and offer advice or alternative solutions if required regardless of the type or job size, that will fit in with your budget for paving services in Melbourne. Asphalt FX understand the importance of value for money, whether it be your home or business. We pride ourselves on being able to offer competitive rates but still provide a very high standard of work. Our Management and Administration team who have worked in the industry for 10 years and handle everything from Customer Service, Client Liaison, Accounts and OH &S. Asphalt FX can offer you guaranteed solutions to all your asphalt surfacing and repair work in asphalt paving. Asphalt FX will offer a free no obligation quote, work within the client’s timeframe and complete a high standard of work, with a superior quality finish and guaranteed value for money. Asphalt FX will ensure that you receive the results expected by the client, using the best equipment. Asphalt FX own the latest 1603-2 and 1303-2 Pavers which will give you a high quality of product and with more efficiency and accuracy. Asphalt FX have the capability to offer major and minor repairs to suit the clients’ needs for residential, commercial, industrial or government. Our personalised approach to asphalt laying and paving services ensures that our skilled contractors can work Melbourne-wide, offering all of our clients the same high-quality level of service. Asphalt FX specialise in major roadways, car parks, driveways, hard stand areas and footpaths. Asphalt FX have a large range of fleet and the latest equipment from overseas, enhanced with experienced workmen. Asphalt FX will undertake major and minor works, e.g. design, specifications and personal ideas. 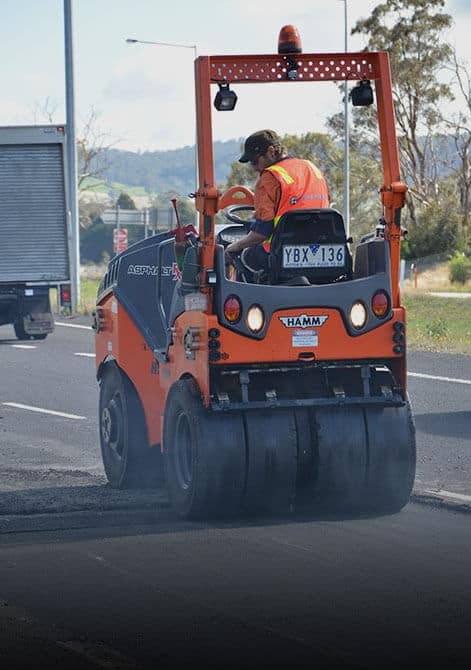 As we service residential, commercial, governmental and council projects with more than fifteen years of experience in the asphalt industry, and as a dedicated family owned business with staff you can rely on, Asphalt FX provides the best Asphalt Driveways, Asphalt Repairs and Asphalt Melbourne could ask for. 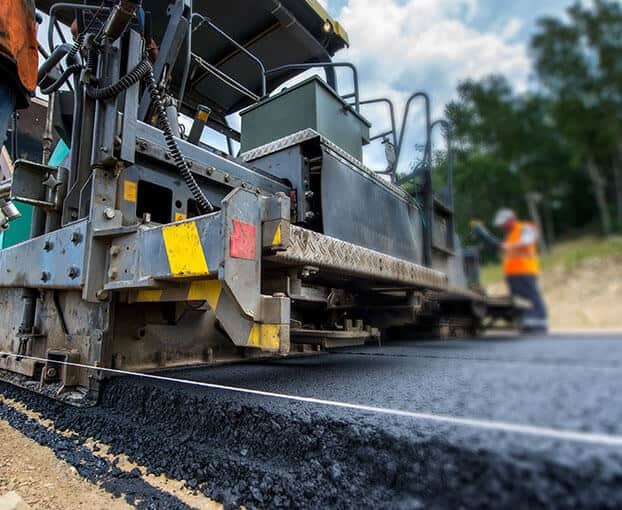 Our team knows the ins and outs of the asphalt paving industry, and utilises only the best in machinery and techniques to cater to a variety of different client needs in paving services in Melbourne. We pride ourselves upon our hard working, knowledgeable team of bitumen workers, suppliers, repairers, plant operators and an experienced management team, and our experience and our abilities are of the highest capabilities. Only the best possible machinery in the industry is utilised to complete our jobs, and includes Custom Built Rollers, Vogel Pavers and Bobcat Profilers. We provide a whole range of services, including design and construction, driveways, road construction and maintenance, car parks, school areas, sporting courts, plant hire services and asphalt paving. Our list of services, as well as our large variety of previous projects, are all available to view on our website. We pride ourselves on serving reputable names such as Fulton Hogan, Boral, South East Water, Thiess, and John Holland. Why not have a look at our website to see some of the many testimonials that we’ve received from our satisfied clients? Looking for bitumen repair in Melbourne? With a can-do culture, no job is too difficult for our asphalt paving crew, and each job that we undertake is completed to the highest of standards. To uphold our promise of such standards, our Product and Quality Guarantee comes with every service. Our work is completely insured for your peace of mind. We also provide obligation free quotations that are unrivalled in terms of knowledge and value, as well as professional advice. We recommend that each of our customers come and visit us in person before every project so we can communicate with them directly and establish the best method and solution that’s perfectly tailored to their requirements. For bitumen repair in Melbourne, you know who to call! To get to know us a bit better, you can contact us at any time, be it by dropping into our office, giving us a call or sending us an email. You can phone the number to our main office, or alternatively, you can call the numbers to different directors and managers. Thanks to our commitment to meeting out client’s requirements and needs we proudly offer second-to-none bitumen repair to residents across Melbourne. Whether you are after repairs to your road, superior bitumen paving or asphalt laying, our contractors can make it happen with the highest level of reliability. Our outstanding driveway paving solutions have helped Melbourne home and business owners improve access to their properties. For paving enquires, you can also find our paving specific site in the contact description. We’d love to hear your ideas and questions, and can help you with any queries you may have. We will do our best to ensure we outline the best service to suit you, be it for a repair, a construction, a new design or whatever asphalt needs you have. Get in contact with Asphalt FX today, and get ready to receive a truly unbeatable service! To take advantage of our specialised and foolproof solutions call us today on 03 9768 2154.